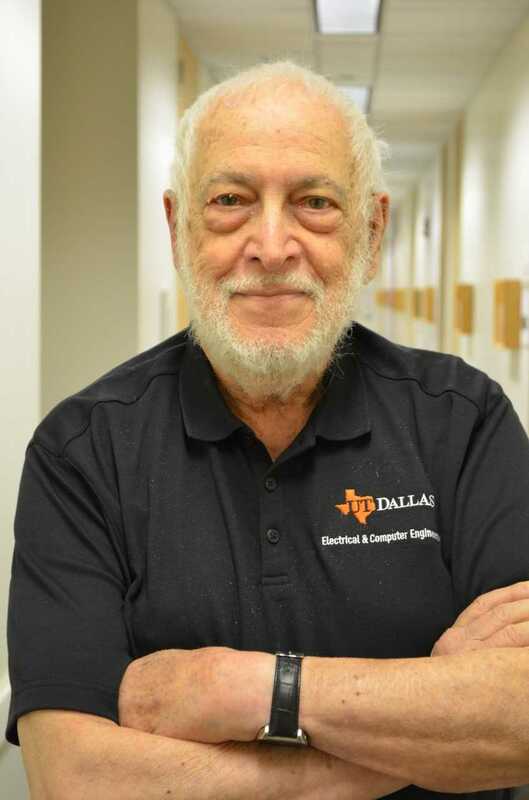 I am now Professor Emeritus of Mathematics, Electrical and Computer Engineering, and Computer Science at The University of Texas at Dallas (UTD). For information on what I've been up to, you may want to take a look at my vita. The source code for the book "Raspberry Pi Assembler"
is available as a "7-zipped" file by clicking here. A PDF file with the entire free text can be downloaded from here. During the 2003-2004 Academic Year I was on Special Faculty Development Assignment (Sabbatical). I did research on Digital Signal Processing software and hardware. In addition, I wrote the below mentioned book on MIPS assembler. The source code for the first edition of my book "A Programmer's Guide to Assembler"
is available as a "zipped" file by clicking here. For a complete ERRATA, click here . The third edition, published in 2010, is ISBN 0-07340887-5 and includes corrections of all those errors. The code for programs in the first twelve chapters can be downloaded as above. There is a new (September 4, 2011) version (9.1.0) of PCSPIM called QtSpim available through https://sourceforge.net/projects/spimsimulator. Older versions of PCSPIM are still available through James R. Larus. Another example of recursion beyond what is in the text is available with code for the classical QuickSort.s program. I've worked in a wide variety of research areas. For more detailed information, you may want to glance at my list of publications. I have directed Ph.D. dissertations in Mathematics, Computer Science, and Electrical Engineering. Recently I wrote the above mentioned book titled "A Programmer's Guide to Assembler"
published by McGraw-Hill Custom Publishing, 2005 (ISBN 0-07-353923-6) and 2010 (ISBN 0-07340887-5). A draft preliminary version of the "Sophocles User's Guide" is available here. Another interest was in the development of Digital Signal Processing courses for Computer Science Students. In addition, I hoped to develop an advanced assembly language course based on a DSP chip. Refer to DSP for CS Students. At present I have finished the above book on ARM Assembler Programming based on the Raspberry Pi computer and am preparing for a new project. Since 1953, when I first taught Freshman Calculus, teaching has been an extremely important and satisfying part of my career. Since then I have taught almost every Mathematics course, almost every Computer Science course, and even some Electrical and Computer Engineering courses. That diversity has kept me interested in continuing to teach. I divided my teaching effort between individual instruction (such as working with Ph.D. students) and teaching organized courses. I encourage students to come talk with me in my office. I will not, however, be taking on any more Ph.D. students nor do I have any Research Assistantships available. Please avoid the telephone since I usually do not get such messages. As Professor Emeritus I may neither be teaching nor having regular office hours. finally, Fall 2014 I taught CS 4384/5349 and CS 1135. I did not teach Spring or Summer 2015! I took "Bucket List'' trips! Fall 2015 found me teaching both CS 4384 and ENG 3300 and nothing Spring 2016. Fall 2016 I was back teaching CS 4384 again and in Spring 2017 and Spring 2018 I taught CS 3305.
and also download my example functions and outline (myFunctions.hs) here. Also, for graphics examples, look to http://www.cs.yale.edu/homes/hudak/SOE/. I will be there at any particular time. Click here for information about earlier classes. UTD has available quite a lot of software for students. For the Astronomy Picture Of the Day, go to the site APOD. This site was recommended by Dr. Larry Ammann.